As cliché as it sounds, another city in Florida has made the list of the best places to retire. I guess unlimited sunshine, access to a nice beach and good golfing are still the top choices for a retired lifestyle in America. 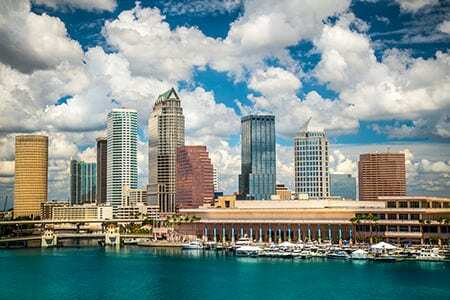 Take a look at why Tampa is the place you might want to retire to. “Some of the most popular metro areas make for some of the worst places to retire, and vice versa. And if past and recent studies are any indication, the best places to retire vary widely based on a number of different factors. Tampa, Florida; Scottsdale, Arizona; and Boise City, Idaho make for some of the best places to retire based on findings released this week from online finance hub WalletHub. WalletHub analyzed prospective retirement locales based on 24 metrics including cost of living, hospital rankings, and percentage of the population that is currently 65 and older. It then ranked 150 metros nationwide, finding Providence, Rhode Island; Jersey City, New Jersey; and Newark, New Jersey ranking Nos. 148, 149 and 150, respectively.